Sell to Us Price: $1,255.60 each. When you say the word ‘philharmonic,’ something musical springs to mind. Rightfully so. The term philharmonic is associated with orchestra and symphony – beautiful music. 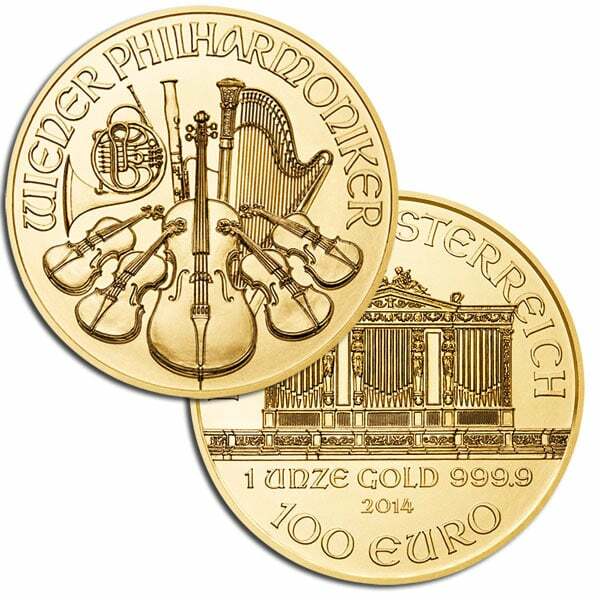 For gold bullion investors, Philharmonic means a beautiful gold coin from Austria commemorating that nation’s rich history in music. 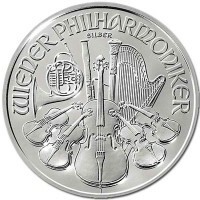 The coin features Vienna’s famed Musikverein Concert Hall, home of the Vienna Philharmonic orchestra. Conductors such as Hans Richter and Gustav Mahler have led performances there in the city of Mozart and Beethoven. When classical music historians and aficionados refer to the “philharmonic”, they are likely referring to Vienna’s great symphony. As for the Philharmonic gold coin, the idea was to incorporate the grace and style of its namesake into the design. And it turned out spectacularly. When it was introduced in 1989, it was the first European 1 oz gold bullion coin designed for investment to go into production. Since then, the gold Philharmonic has established itself with investors, recognized and trusted throughout the world. Let’s go back further though and examine the history and creation of this coin. During the 1980s, imports of the Krugerrand, South Africa’s famous gold bullion coin, were banned in many countries due to international sanctions which were imposed there. Those sanctions severely restricted availability of 1 oz coins for investment because the Krugerrand was the most popular and successful coin in the world market. The Austrian government decided to tackle this issue with the creation of its own gold coin. Production of Austrian Gold Philharmonics began, and met with success right away. Bullion markets were hungry of a beautiful, pure gold alternative to the Krugerrand. Austrian officials made the decision to produce a 1 oz gold coin in 1986, but it wasn’t until 1989 that the first coin was actually minted. In that first year of production, the Austrian Mint came out strong and produced 351,000 units of the 1 troy ounce gold coin. They also produced 272,000 units of the ¼ troy oz Philharmonic gold coin. By 1990, it was already the best-selling and popular gold coin in Europe and the second best-seller in the world. Today the 1 oz gold Philharmonic is a staple product for bullion dealers around the world. Investors can either buy or sell these coins with ease, and at a great price. Gold Philharmonics are available in 4 sizes. 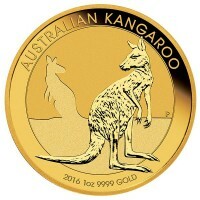 The range includes the more popular 1-ounce gold coin, but it also includes the ½-ounce, ¼-ounce versions and 1/10-ounce varieties. 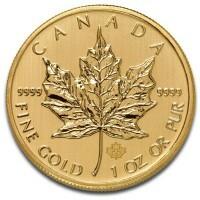 All of the coins for sale are minted from .9999 pure gold, and are marked with their weight and purity. The 1-ounce coin is denominated as 100 euro. The 1/2-ounce coin has a face value of 50 euro, the ¼-ounce is 25 euro and the 1/10-ounce is a 10 euro coin. The Austrian Mint also produces a silver version of the coin in a 1-ounce size, denominated as 1.5 euro. 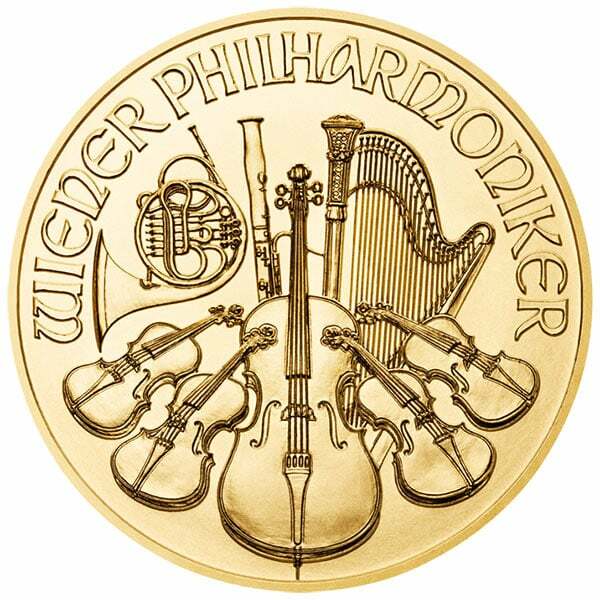 Anyone holding an Austrian gold Philharmonic coin can tell it has been thoughtfully designed. It commemorates the Vienna Philharmonic with beauty and craftsmanship. The reverse side of the coin features some of the instruments which take center stage in many orchestras. These include a cello, a bassoon, a Vienna horn, and a harp. On either side of the cello are 2 violas and then 2 violins. Above these instruments is a banner which reads ‘Wiener Philharmoniker,’ the original German name of the orchestra. On the obverse of the coin, rather than instruments there is architecture, and one additional grand instrument. There is an artist’s representation of the balcony of the Musikverein Concert Hall, also known as the Golden Hall. Standing upon it is the hall’s famous pipe organ. Around this image there is scripting which reads ‘Republik Osterreich‘ along with the coins weight and purity. For the coin weighing 1 troy ounce the text reads ‘1 Unze Gold 999.9’ and the denomination as ‘100 Euro’. The year the coin was minted is located between the two latter details. The design is from Thomas Pesendorfer who sat as the head of the Austrian Mint. The only change in his design was the addition of the ring around the edge, referred to as an edge rod. The inclusion of this slightly raised ring on the face of the coin allowed it to be stacked easier in production. The gold Philharmonic offers a unique design and the trust that accompanies an official legal tender coin whose weight and purity is guaranteed by the Austrian government. The coin is a great value, sold at just a few percent above its melt value. And it is liquid – easy to buy and easy to sell instantly when the time comes. It will make a worthy addition to any gold investors holding. Our current buy pricing is $1,255.60 each and we will buy up to 20 ounces at this price. Simply call us on any weekday to lock pricing at 1-800-800-1865. 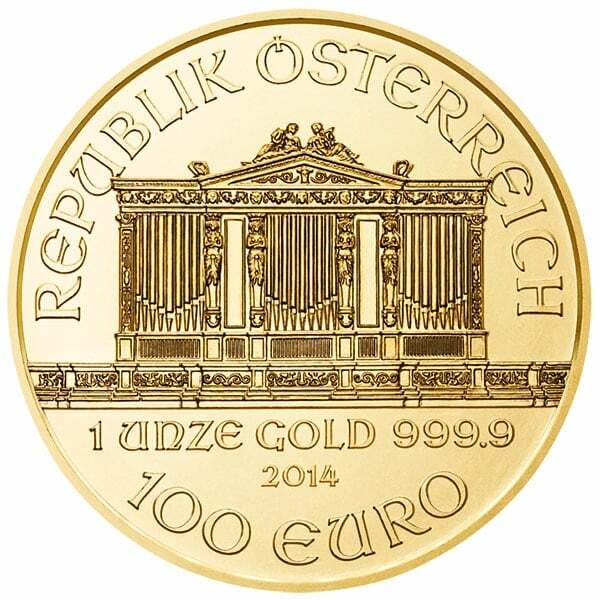 You can now sell your 1 Oz Austrian Philharmonic Gold Coins back to us online, at a price of $1,255.60 each!